Whether due to trauma, extraction or decay, losing a tooth is never easy. For many people with gaps in their smile, missing teeth can make face-to-face interactions embarrassing, eating more difficult and can even hinder speaking. Luckily, you can restore your smile and fill in the gaps with dental implants. Dental implants are the next best thing to natural teeth. Dentures can move around while eating or speaking, resulting in potentially embarrassing or uncomfortable situations. Dentures also require the wearer to remove them before sleeping in order to clean and soak them. Dental implants are permanent, non-removable teeth that are sturdy enough to be treated exactly the same as your natural teeth, with no extra steps required. How does the procedure for dental implants work? Dental implants are permanent because they are implanted into the bone of the mouth rather than attached to natural teeth, such as dental bridges. A post called a fixture is surgically implanted into the bone where the tooth’s root was. A part of the implant called an abutment is attached to the fixture, and remains outside of the gum. 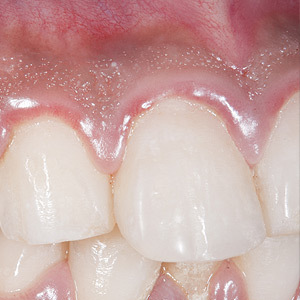 This abutment is what the fabricated tooth, called the crown, is permanently attached to. Dental implants are cared for just like your natural teeth. It is important to commit to a good dental hygiene routine that includes brushing for at least two minutes and flossing twice daily. You should also commit to biannual dental check ups to ensure that problems with your implants or general dental health can be caught and treated early. Dental implants are made to last a lifetime. Tooth-supported dental appliances like bridges last, at maximum, 10 years. Dental implants may need periodic adjustments, but with proper care and regular dental check ups, they can last for the rest of your life. The best way to find out if you are a candidate for dental implants is to consult with your dentist at Today’s Dental in Houston, TX. Call 281-580-0770 to schedule your appointment today!